Meet super sweet Spruce, a one year old grey tabby who was found in a basement with a mother cat and three kittens. The finder kept the mama and dumped Spruce and the kittens at the shelter. Thankfully, they all made it out! 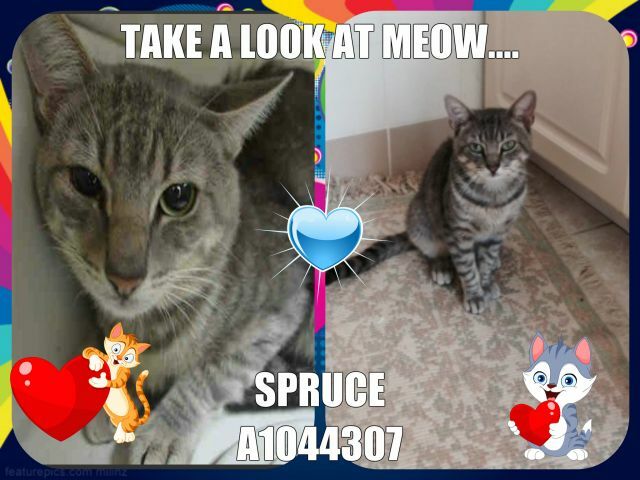 Spruce had a great behavior rating at the ACC and his new foster mom says he is a doll. Available for adoption through Anjellicle Cats Rescue (contact: [email protected]).